The Shuai-Jiao, one sublime combination of all the combat techniques, one super science of the mechanism. It bring the speed, the time, the force and the angle to their higher level, applying taken, levers, blows, to the convenience to project. Kung-fu Wushu was comes grouped on four named to you: Da-Na-Tie-Shuai, Da (Sanda, -boxe), Na (Chi-Na, to seize), Tie (Karate, fatal point), Shuai (shuai-jiao, to project). For an exercise convenience, at present, practicing lowers the levels of offensive and separate complete Kung-fu from the Judo, Aikido, Karate. Currently, the three Limbs as soon as said they form, reassumed with, a basic part of the Shuai-Jiao. Since the Shuai-Jiao includs techniques either offensives that defensive, focus, its applications on all the parts of the human body, working on the force, absorbing it are returning it to the enemy in order to throw it to earth down. The Shuai-Jiao (pronounced shuai-jiao in pinin), is one of more ancient the Chinese martial , its origins goes back beyond shakes 3000 years ago, when it was known with varied names following the currents dynasties, also was called Chiao-You, Hsia-Pu, Lia-Chiao, Kua-Chiao, until 1928 when the name came standardized in Shuai-jiao. At first used in the battle of Chuo-Lu, and the most ancient shape than known Wushu, miliare stone in Mount Olympus of the Chinese martial. The definition of the Shuai-jiao is subjected the translator, can assume various means to you but substantially it is described like an art of personal defense, based on the physical laws and natural. The scope and to maintain just the equilibrium, and to make to lose it to the just opposing one putting it to the carpet. 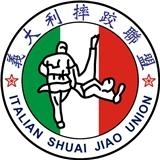 The techniques of Shuai-Jiao can be divided in techniques of attack, defense and answer to an attack, consists technically in finished and valid projections. It teach to defend itself without use of the weapoints, but with varied technical of projections, block, soccer, fist etc, to use if necessary, without having to resort for the exercise to particular like the protecting helmet, the bumper, or to having itself to stop without to touch the target. The Shuai-jiao is the only martial art that always refers to real situations, since to the refashion natural forces of the physics taken advantage of with energy and precision. An other advantage of the Shuai-Jiao, is that one of being able itself to train with a partner being simulated a real combat, that really allows us to be ready in a context that is not the training. The Shuai-Jiao includes moreover technical debilitating, sometimes died them, but logically only the students more are left over to you come in so far as instructd, they clearly are not admitted in the tournament. The Shuai-jiao is a martial art much complete, offers to a good state of physical, but above all mental health for who the practical it. A Chinese saying says: three years of Kung-Fu are not equivalent to one year of Shuai-Jiao. The man is one erected figure. Being in this position, he is dignified is felt is full of confidence in if same. Therefore, the Shuai-Jiao educates, trains the combatant to win, stopping the combat remaining in feet. In its higher levels, it does not fight, it does not come down thrown to earth, but however ago falling down. An ancient Chinese saying says: "Yuan Da Jin Shuai" to long distance is hit, to short distance thorwing.